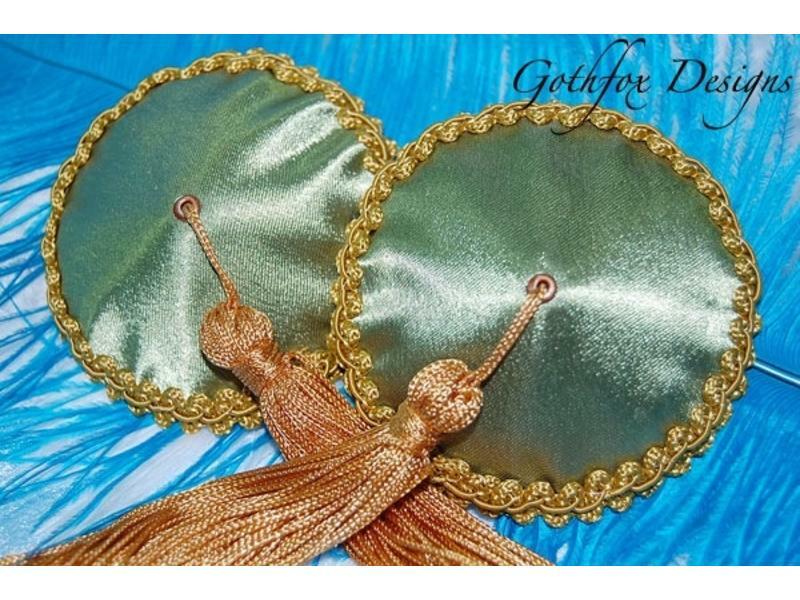 Named after the iconic drink, the Dirty Martini, these pasties are made with amazing olive green bridal satin and are adorned with fancy gold trim and matching tassels. 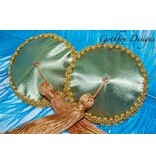 Each pastie measures 2.25" in diameter. Model photograph by Greaser Tom Photography.